What makes a person influential? This is a question that has inspired countless debates not just between everyday individuals, but also in several major news outlets. The standard dictionary defintion of the word “influential” is that it is primarily used as an adjective to describe a person or even an object that has the capability to exert a compelling force on or produce certain effects on the opinions, behavior, and the actions of others. That being said, it’s no wonder why the issue of being influential is a frequently much-discussed topic within our society and media. And speaking of media, one well-known publication has regularly compiled a list of what they believe are the most influential people in the world, and that publication is none other than TIME Magazine. Founded in the United States on March 1923 by co-editors Briton Hadden and Henry Luce, TIME Magazine remains as one of the world’s longest-running and most recognizable news-oriented magazines with a global circulation that reaches readers and subscribers from North America, Europe, and the Asia-Pacific region. The publication releases new issues on a weekly basis and focuses primarily on current and ongoing news events with an emphasis on investigative journalism, as well as regular forays into the examination of modern pop culture ranging from arts and entertainment, science and religion, to politics and philanthropy. The magazine’s branding has gone beyond its original print format to expand further into a veritable media brand that has now gone digital in the age of technology and the rise of the internet. TIME regularly features special issues dedicated to a particular topic or event, and one of these editions happens to be the 100 Most Influential People in the World. 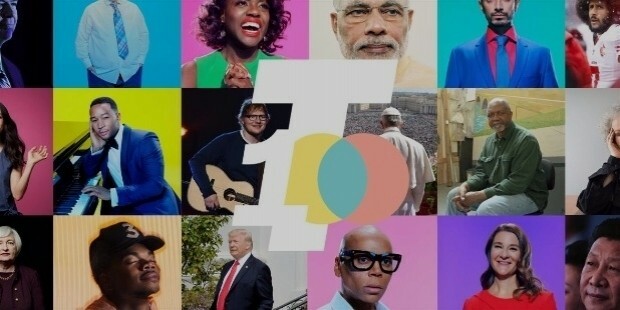 This is a yearly lineup of the one hundred personalities from across various backgrounds selected by the international editorial staff of TIME whom they deem as an influential and newsworthy global figure. The origins of the list dates back to 1999 when the magazine released a compilation called the 100 Most Influential People of the Twentieth Century, which was well-received by readers and media pundits. Based on the success of the original 1999 list, the editorial staff of the magazine ultimately decided to turn it into an annual issue beginning in 2004 and selected individuals were divided into five distinctive categories. 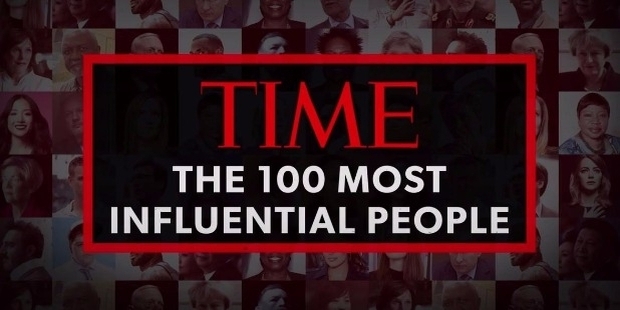 The editors of TIME have made it explicitly clear to their readers and other media outlets that the entrants chosen for their yearly list of influentials were selected based on their social impact upon the world at large, regardless of their level of fame, success, popularity, or the consequences of their actions. Because of this selection process, the list has been subject to criticism apart from praise, especially when there are honorees included that are deemed to be controversial, notorious, or unsavory to the eyes of the general public. 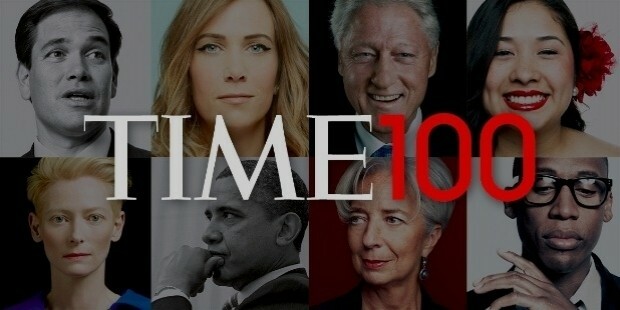 Nevertheless, many people consider it an honor to be included in the TIME 100, particularly since it is often an indicator that someone is truly making a difference in the world, whether their influence has generated positive or negative effects on society as a whole. For the 2017 edition which was recently released in early May, TIME has chosen a veritable smorgasbord of diverse personalities spread across five categories—Pioneers, Artists, Leaders, Titans, Icons—and whose influence is truly felt within their respective professional fields. In honor of this year’s crop of illustrious influentials, SuccessStory will be shining the spotlight on some of the honorees featured on the 2017 TIME 100 through a series of profile posts that will run from now until the end of this month. 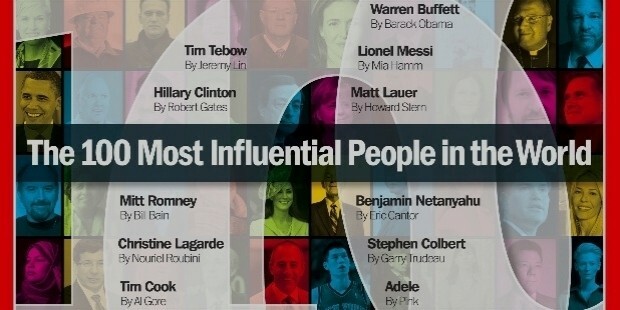 Take a look at some of the notable people below that TIME Magazine has inducted to their annual list of influentials, and watch this space for the next batch of individuals from the TIME 100 Most Influential People of 2017. In the realm of political comedy and satire, it’s often viewed as a man’s world where it is reigned by notable comics such as Jon Stewart, Stephen Colbert, and Seth Meyers. Therefore, it is such a refreshing breath of fresh air to have someone like Samantha Bee (pictured below) disrupt the system and make audiences realize that women can be really funny and that they too can deliver satirical twists and turns from the landscape of politics and pop culture just as good as—or even better—than their male peers. As the host of her own weekly news satire comedy show, Full Frontal with Samantha Bee, this Canadian-American firecracker absolutely holds no punches and lets people know exactly what she thinks with her own brand of sharp, insightful, and intelligent humor that is equal parts biting sarcasm, indignant righteousness, and moral outrage. Bee is no stranger to the world of comedy considering that she cut her teeth as one of the top correspondents of The Daily Show when Jon Stewart was still the host of the program. She eventually left to pursue her own projects and was quickly approached by TV channel TBS to helm her own talk show in the vein of her former program. 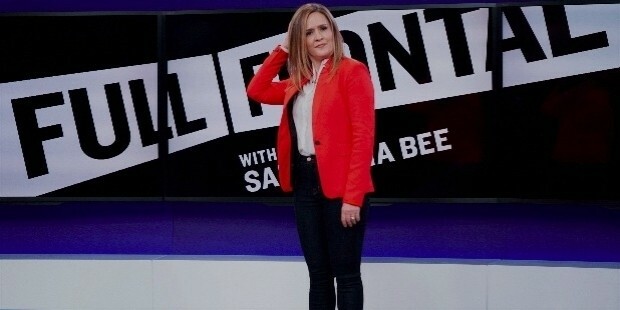 Needless to say, Bee became a breakout hit when Full Frontal first aired on February 2016 and her presence on the late night programming circuit definitively proved that men no longer hold the monopoly when it comes to delivering witty and comedic commentary on various newsworthy topics. Bee is living proof that women are a valuable resource for late night comedy. Since then, Bee continues to blaze the trail and has been a strong advocate for the inclusion of more female comedians, both in front of and behind the cameras. In Hollywood, it can be rather hard for an actor to break out of the dreaded label of “box office poison”, especially when your body of work has largely been starring in movies that failed to ignite the box office or even receive critical appraise from audiences and professional film critics. But if there’s one thing that Hollywood loves most, then it’s a really good comeback story. 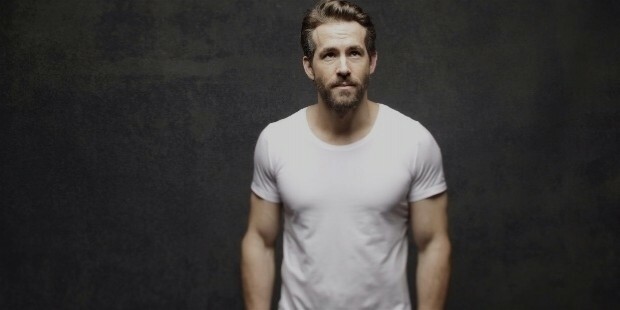 And this is precisely what happened with actor Ryan Reynolds (pictured below) when he broke out of his career slump and practically revitalized his artistic vocation with a blockbuster superhero film that propelled him straight into the firmament of the A-list stars in the filmmaking industry. Reynolds starred in the film adaptation of Deadpool, which happened to have an R-rating due to several factors that includes liberal amounts of foul language and humor and graphic violence. Despite the film rating, the movie went on to become a critical and commercial runaway hit when it was released back in February 2016, becoming the first-ever R-rated superhero film to achieve impressive box office earnings as well as rapturous positive reception from cinemagoers. Central to the film’s success was Reynolds’ pitch perfect performance as the titular character who is described aptly as a “mercenary with a mouth”, where the Canadian actor utilized his impeccable comic skills and timing to great effect. And with a sequel to Deadpool officially in the works, there’s definitely no turning back for Reynolds who certainly won’t be accused of being box office poison anymore. Rare is the person who utilizes their wealth in order to nurture a genuine difference by making the world a better place to live in. With so many billionaires in the world right now, you don’t often hear about such high net worth individuals actively and willingly funneling their personal fortunes to charitable causes. However, there are commendable exceptions such as Melinda Gates (pictured below) who is considered as a paragon for goodwill and a true champion of helping less fortunate people live the lives they deserve. Although most people who are familiar with her name might correctly associate her as the wife of fellow billionaire and Microsoft founder, Bill Gates, she is more than just the woman who just happens to be the spouse of one of the richest men in the world. Unlike her husband, Gates actually completed her college studies when she earned her bachelor’s degree in economics and computer science from Duke University in 1982. She even followed it up by pursuing and completing her MBA from Duke University’s Fuqua School of Business in 1987. And while it is a well-known fact that she met her husband while working in Microsoft, most people are not aware that she was instrumental in the development and creation of several Microsoft multimedia products such as Microsoft Publisher, Encarta, and Expedia. Together with her husband, she co-founded the Bill and Melinda Gates Foundation—a non-operating private foundation that aims to enhance access to proper healthcare and reduce extreme poverty from a global scale. Gates is also a staunch advocate for introducing more women to work in the field of technology, which she perceives as a predominantly male-oriented field. Creating a highly lucrative business empire that blends both retail and technology is no easy feat considering that most entrepreneurs can only focus on one specific niche. 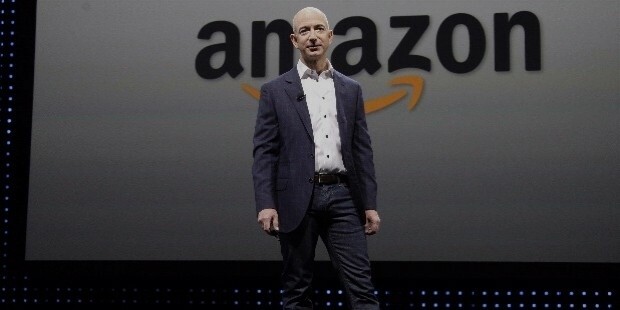 Jeff Bezos (pictured below), however, is cut from a different cloth since he has taken great and significant strides by expanding his Amazon brand into more than just an online retail hub. To the uninitiated, Amazon is the world’s largest online shopping retailer which has since diversified itself to include a wider variety of products and services to consumers such as video and audio streaming. Since the company’s inception in July 1994, Bezos has worked tirelessly to evolve Amazon into an internationally recognizable brand that could actively compete with other popular e-commerce companies such as eBay and Alibaba, and to constantly give the brand updates in response to the fast-paced changes to technology and consumer trends. But Bezos isn’t just known for his flagship company considering that he is literally a business titan whose imprint can be seen in various other business ventures. In August 2013, he explored a foray into printed news journalism when he purchased The Washington Post, as well as being one of the very first investors of Google when he invested $250,000 into the internet company back in 1998. Today, his original investment Google is now equivalent to 3.3 million shares of stock that is worth approximately $2.9 billion. Furthermore, he is also responsible for partially funding several well-known brands and companies through Bezos Expeditions such as Airbnb, Twitter, and Uber. With a current net worth of roughly $87 billion as of May 2017, Bezos is clearly one of the best and brightest stars in the business of technology, commerce, and philanthropy living today. 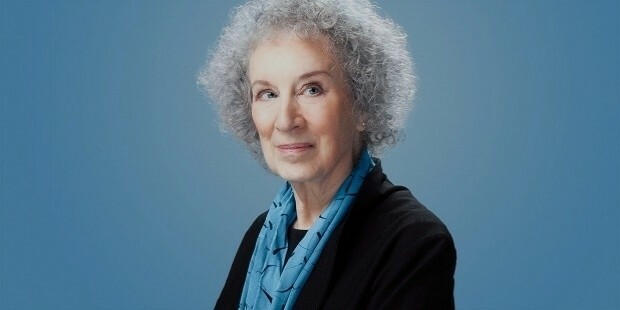 In the field of literature, there can only be a few that are considered worthy to be hailed as an influential icon, and one would certainly not deny Margaret Atwood (pictured below) this exalted honor. Some might be familiar with Atwood, though most would be hard-pressed to even know who she is. So for those who aren’t in the know, here’s a quick primer on this Canadian legend: she is a writer, author, novelist, poet, essayist, literary critic, as well as an environmental activist. Her best known work is perhaps her critically-acclaimed novel entitled The Handmaid’s Tale, which is a piece of speculative fiction that reimagines a dystopian version of the United States where women are stripped of their rights and agency and are severely oppressed by a patriarchal-based government. Apart from Atwood’s significant contributions to writing and literature, she has also displayed a knack for advancing the technology used in writing by inventing and developing the LongPen device, which is a tool used by individuals to facilitate the remote digital writing of documents between long distances. She is also the very first author to contribute to the Future Library project, which is a public artwork that aims to collect one original story by a famous selected writer every year until 2114, where the collected literary works will only be released and shared to the world only then. Atwood’s enduring influence continues to be honored today as her seminal novel The Handmaid’s Tale is currently being adapted into a television series by online streaming service Hulu and stars lead actress Elizabeth Moss in the titular role of the handmaid. The series adaptation of The Handmaid’s Tale has received overwhelming positive praise from critics and audiences, with Atwood herself serving as a consultant and producer on the show.